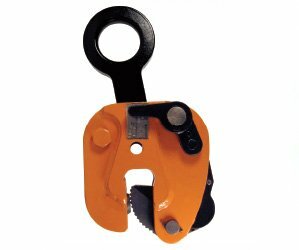 Lightweight screw clamp for bench work on steel plates of large thicknesses, and weighing less than 1000 lbs. 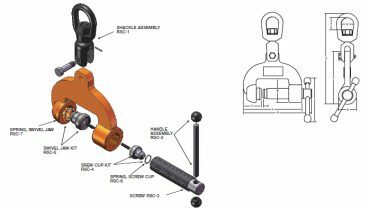 Renfroe Model DC is a vertical lifting, locking and 180° turning clamp. 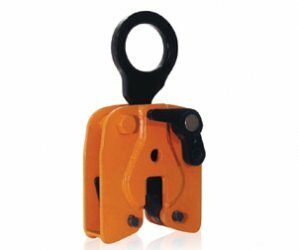 Renfroe Model SCSL is a locking screw clamp capable of handling a steel plate from horizontal to vertical to horizontal through a 180-degree arc.